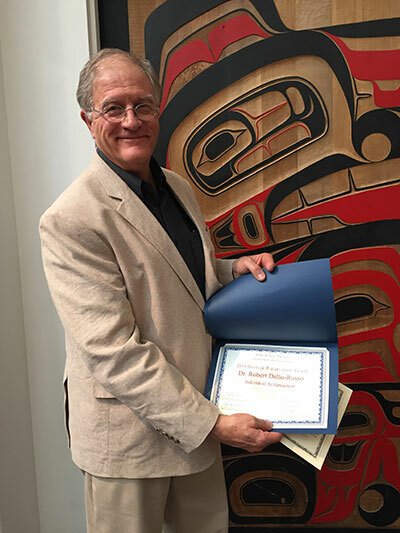 Archaeologist Robert Dello-Russo, Ph.D., has received the Individual Achievement Award from the State of New Mexico Historic Preservation Division, Department of Cultural Affairs. Dello-Russo, who is currently the director of the UNM Office of Contract Archeology, was recognized for his accomplishments in New Mexico archaeology and for his years of service to the state. He has been working professionally as an archaeologist in the Land of Enchantment since 1986. Congratulations Robert!